I guess we know what happened to all those dinosaurs then. 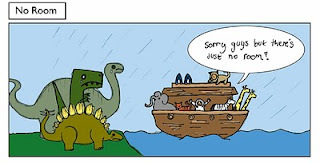 God felt guilty about drowning them all so he left them outta the bible. 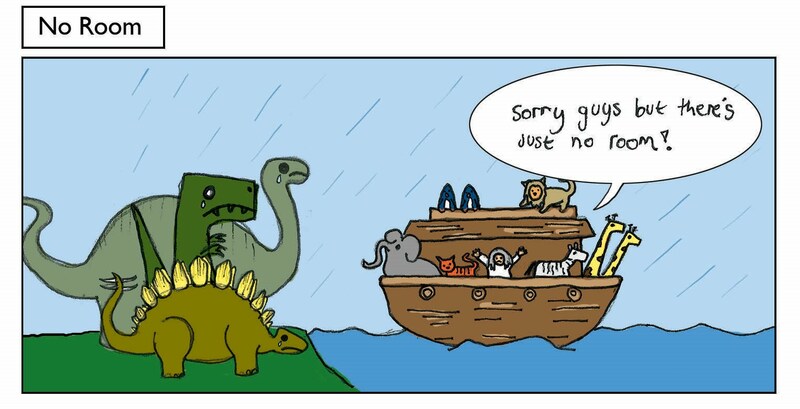 Dinosaur holocaust probably wouldn't be the best start for the greatest story ever told. Click the lable below for more Religion comics.